Patriot Chimney can build a professional-looking chimney. We know how to build a chimney to code and what a really good chimney can do for you in the long run. We understand the requirements of a chimney and how to make a durable system that will keep your family warm and stress-free. Our masonry services include tuck pointing or repointing, new constructions, restorations, rebuilds, and demolition. 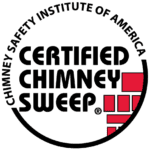 Our masonry services help us be a complete chimney service and cater to your every need. We can provide unique solutions and beautiful final products. Whether you are looking for aesthetic repair or a structural fix call us today to let us pave the way to a better chimney.